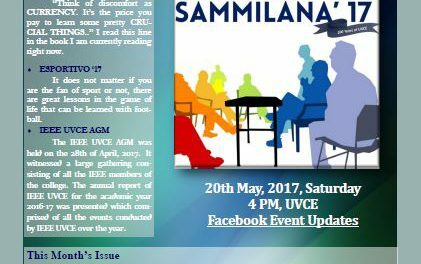 Here’s yet another edition of SAMPADA! This time bigger (in size as well) and more special! Trying to figure out what’s the reason? Well, think no more! 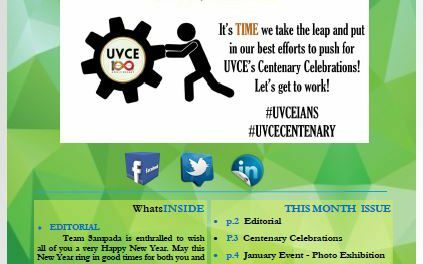 With the first event of namma UVCE Centenary Celebrations kicking off through “UVCE Centenary Run“, we have got the complete coverage on it through all perspectives wrapped in this edition for you! With Alumni from 60’s to recently graduated batch and current students, the entire UVCE family came together to be a part of this event and that was a feast to the eyes! It is everyone’s right to know how the finance of the event was managed. 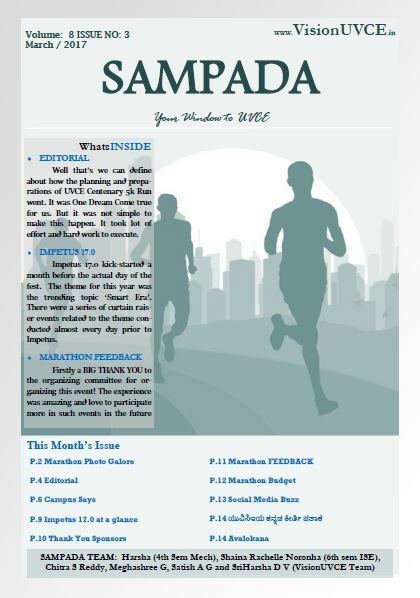 So we have got the marathon budget details for you comprehension. 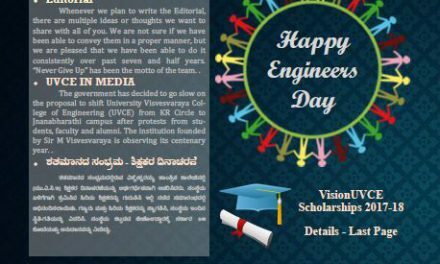 Also inside this edition is the complete narrative of how our Annual Technical Fest Impetus 17.0 enthralled the students putting their technical acumen to test! As mentioned, we are coming out with “Avalokana” – Best of Sampada Souvenir shortly. To get the hard copies printed, we would love to know if you are interested to purchase it. “Pre-order” links will be announced soon! 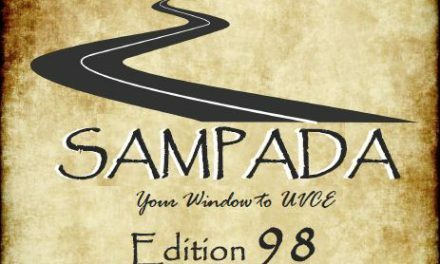 With no further delay, click on the Sampada 87 Edition and read away!